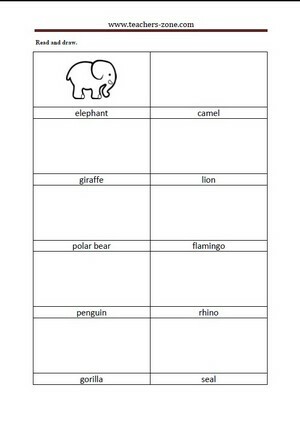 I would like to encourage you to try printable resources from the Teacher's Zone website to teach vocabulary for zoo animals. You can find here zoo animals flashcards with labels and phonetic transcription or zoo animals pictures without labels. 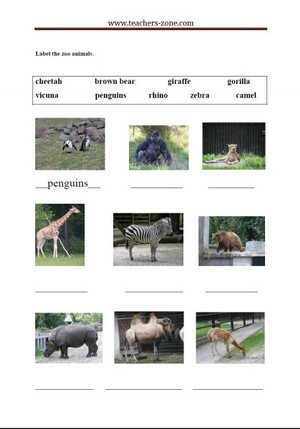 You can use printable worksheets to practise zoo animals vocabulary as well. Click the image to download zoo animals flashcards for free. Real pictures of animals are always catchy. If you display flashcards presentation on the screen, children will call them in L1 so you can say their names in English and students repeat after you. If you print them, you can use some flashcards activities ideas from here. 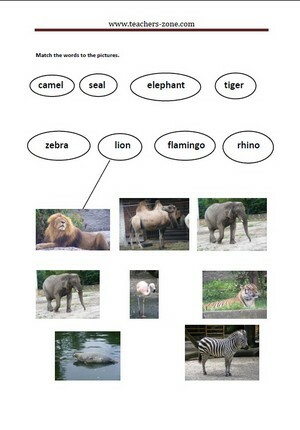 Practise zoo animals vocabulary with exercises you can print or display on a whiteboard. 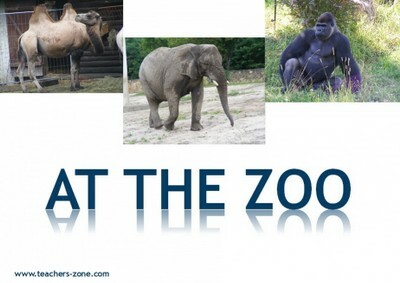 To download free worksheets for zoo animals click here. To see more activities to teach zoo animals click here.